Home / Ang-Lee / Avengers / Edward-Norton / Eric-Bana / hulk / Incredible-Hulk / Jack-Kirby / Mark-Ruffalo / Movies / Stan-Lee / Who Owns the Movie Rights to the Hulk? Who Owns the Movie Rights to the Hulk? "As far as a Hulk movie, a standalone Hulk movie, Marvel doesn’t really have the rights to that yet." Mark Ruffalo said in an interview with Collider, "That’s still Universal’s property, so there’s that issue. That’s a big impediment to moving forward with that. Now I don’t think that’s insurmountable, by the way, but I don’t know where it’s going from here for me." It turns out Ruffalo was wrong. As confirmed by Forbes last week, Marvel does own the rights to make a standalone Hulk movie. So, why haven't they made one yet? It's a complicated question. So let's go back in time and follow the movie rights of the Hulk through the different studios to today. For those who aren't familiar with him, Hulk is a superhero featured in Marvel Comics. The character was created by Stan Lee and Jack Kirby, and first appeared in The Incredible Hulk #1 in May of 1962. Lee said he was inspired by a combination of Frankenstein and Dr. Jekyll and Mr. Hyde. In the comics, during testing of a gamma bomb, Dr. Bruce Banner was trying to save Rick Jones and got caught in the explosion. Since then, whenever he gets angry or upset he transforms into a huge green-skinned man with massive strength nicknamed "The Hulk." In the 1990s Marvel enjoyed a degree of success, but flagging sales and profits forced them to file for Chapter 11 bankruptcy protection in 1996. In an effort to make some cash they sold off the movie rights for their most popular characters to different studios. This has led to some confusion since Marvel Studios started producing their own superhero films. It inspired us to make the chart of who owns the Marvel movie rights to the superheroes. The movie rights to the Hulk was owned by Universal Studios since the 90s. Development of a Hulk film started as far back as 1990 with Joe Johnson (who went on to direct Captain America) slated to direct. But the project went into development hell till Ang Lee directed the 2003 movie starring Eric Bana. 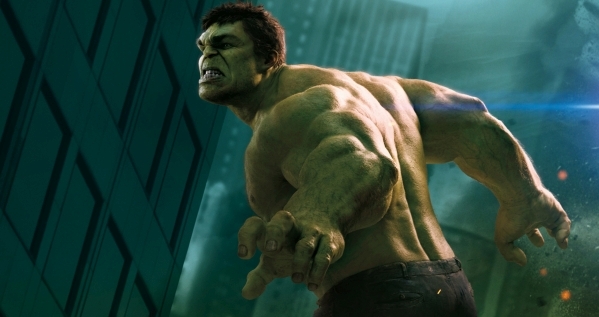 Hulk started out strong when it was released June 20, 2003, earning $62.1 million in its opening weekend. It was the 16th highest ever opener at the time. But mixed reviews, and bad word of mouth, led to a massive drop by the second weekend. In the end, the movie only grossed $132.2 million in North America and made only 245,360,480 worldwide. While that would be awesome for a lot of films the high cost of special effects led to a budget of $137 million not including marketing costs makes it a box office failure. Universal had a deadline for beginning principal photography on the next Hulk project, but they missed it. Marvel regained the film production rights to the Hulk in 2005. Universal still retained distribution rights on any sequels, while Marvel took control of all licenses. So, now Marvel has the cinematic rights to make Hulk movies. Universal has no claim to the production rights to any Hulk movie. But the big deal is that Universal currently retains the right of first refusal to distribute any solo Hulk films in the future. That means if Universal decided not to distribute a Hulk film from Marvel then Disney can distribute it. It's like if you bake a pie for the family and Uncle Bob calls dibs on the pie because he's the oldest guy there. Before anyone can have a slice, you have to offer the pie to Uncle Bob. If he says no, because he's getting fat anyway, then the first piece goes to whoever wants it. It's not a deal breaker though since Marvel has partnered with Paramount to distribute several films like Iron Man and Thor and they've already done it with Universal back in 2008. Two years after the Ang Lee movie a sequel/reboot called The Incredible Hulk was released in 2008. It was directed by Louis Letterer and starred Edward Norton. The film was produced by Marvel Studios and distributed by Universal Pictures. It's considered part of the Marvel Cinematic Universe and its referred to in several films. The movie cost another $150 million, but made a measly $263.4 million. In the end, the real reason there hasn't been a solo movie is that Marvel doesn't think it's worth the money to make one. The combined total of the two Hulk movies is about $500 million. The first Iron Man film made $585.2 million alone. As much as people love the big green guy, the numbers just don't add up. He's far more popular in a team movie like Avengers. Would You Watch a Solo Hulk Movie? Do you feel it's worth making a Hulk solo movie? If so, how should it be done? About the Author: Maurice Mitchell An avid science fiction fan, former professional graphic designer and certified blerd. After the death of my Star Wars action figures I use my powers for good and not for evil. They could pair him up with a couple other Avengers. If they continue with his relationship with Black Widow, that would be a good match, especially as everyone wants her to be in a separate movie. I happened to enjoy the old, cheesy Hulk show in the 70s/early 80s (timeframe? ), so I think I would like a solo Hulk movie . . . although if they continue/allude to his relationship with Black Widow, that would be cool, too. Hulk was such a great part of the first Avengers, I actually thought he would get more screen time in part 2. I understand the logistics of selling a green behemoth to the public, but by now he should be able to have his own film. They just need to find a decent story--and keep Ang Lee as far away as possible. I've read elsewhere that a really good Hulk film may be impossible. Basically, the amount of damage that would be expected to occur might be untenable. That's not including which kind of Hulk to bring in. He's not just rage-filled beast any more. People expect a level of nuance between him and Banner that might not be possible in a two-hour film. Story... story... story... story, yes I said it, with this comes with great responsibilities. Hulk as much as Banner needs screen time, it would get old doing HULK SMASH the whole time... now bring in some friends. DUCK DYNASTY Meets AVENGERS in "Redneck Avengers"
STAR WARS Meets JURASSIC PARK in "Jurassic Wars"